Home Unlabelled I finally have a PS4!! As most of you know I have wanted a PS4 for a while now, well ever since I played on my ex boyfriends one in fact. But alas he dumped me and I was unable to play his one anymore (even though he asked to stay friends, utter rubbish). 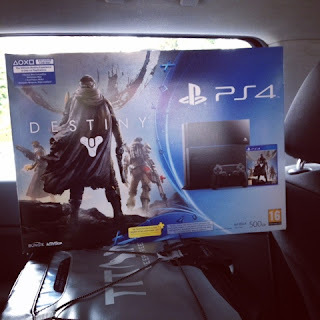 I decided that I would purchase one after all I was heart broken and needed something to keep me busy, so I went to Truro with my parents and picked up a PS4 Destiny bundle for £379.99. Probably shouldn't of spent so much on it but who cares a girl can treat herself right? 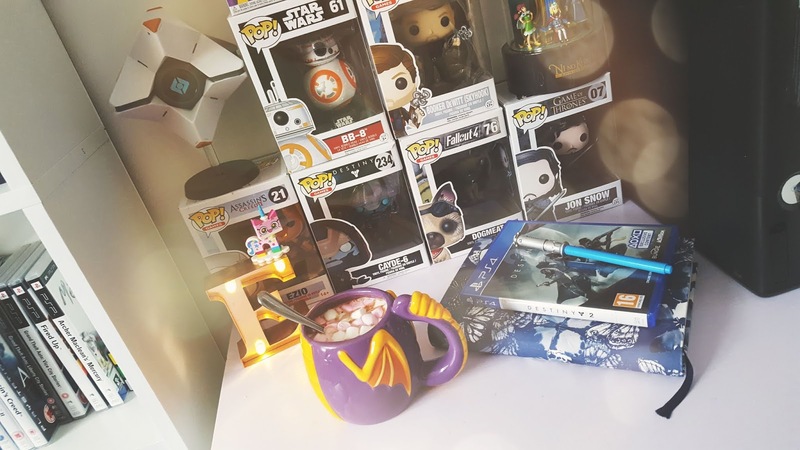 I have been meaning to write up more blog posts but I ended up getting addicted to Destiny on the PS4 and forget all about my poor little blog, which I do apologise for! To be fair i'm sure a lot of my mates would end up doing the same thing. I highly recommend Destiny, it's a good game and easy enough to play through even for a 12 year old and It's fun to play with friends and family. I was a bit skeptical as I did play the Beta for Destiny and most of the time It wasn't unable to connect, even now I'm having connection problems with Destiny, I've been told I'm not the only one this is happening too, it oddly keeps kicking us from the game and either putting us back into orbit or making us go back to the start menu which is a tad strange. I don't have that many games for the PS4 seeing as the console itself cost so much but I do have Minecraft and The Evil Within (which terrifies me because I'm a chicken). I have been considering selling my Xbox 360 but decided against it as I have an awesome Minecraft land and I spent so many hours building it, my little sister has been trying to convince me to sell it in order to buy her and her twin one, obviously i laughed at her and said no but bless her for trying! I have also been told by a few people that i should of got an Xbox One but to be honest it didn't really appeal to me I have always liked the Playstation over Xbox only because me and my sisters have had every Playstation from the start. Hopefully I will be back with better posts about Christmas and what kind of things I'm looking forward to and my Christmas wish list!